Luckily, here at DEM, we look after those first two issues so you don’t have to worry about them. We help you choose the relevant target audience from our database of over 80,000 prospective students, so you know your message will be reaching the right people. We also put the email together for you, so there is no need for you to worry about ‘text-only’ versions and ‘validating HTML’, or any other jargon for that matter. With this in mind, this advice article is designed to help you with the last point we highlighted; the content. When an email lands in an inbox, it (the email) only has a split second to convince the user to open it. With that in mind, arguably the most important words you’ll write when putting together a direct email is the subject title. You need to keep it short and concise, but it must also be intriguing enough to encourage readers to open the message. Think of this as your headline; it must catch the readers attention, but also not give the whole story away. ‘Start your study in January 2014 at XYZ School of Hospitality Management’ and ‘Want to Study Hospitality in 2014? Study at XYZ’. The results were, as you may have guessed, very different. The latter received 120% more opens. A significant difference when extrapolated over any number, but particularly if we were to send that to 70,000 emails. We had the account setup to split-test the first 5,000 emails, then send the remainder with the best performing subject line. This is a feature of tools such as Mailchimp that can really help improve the open rates of your emails and allow you to experiment with subject lines without ruining a campaign if you get one wrong. Write the subject line last and make sure it reflects the content. Don’t promise free scholarships if there are none to be found within the email. If you’re stuck, ask somebody. We’re always happy to offer advice and work with you to optimise your subject lines. Once a reader has clicked your email, you’re on borrowed time. It only takes a second for the reader to press the delete button. And many do. There are many reasons why this may be; not relevant content, too much content, not enough content – whatever the reason, the end result is the same. Your message has been lost on them. In order to avoid this, you’ll want to keep your email message short and direct. Don’t use elaborate introductions. Or long sentences. Instead, make the content easy to read, splitting up bigger chunks of content with sub-headings. This is one time when it is OK to use one sentence paragraphs. One writing rule not to forget though is the 5 W’s: who, what, when, where, and why. Answer these questions in the first couple of paragraphs and you’ll quickly engage with those who are interested in what you have to offer, whether that is a bursary or a new campus. Before you even log in to Yahoo mail, you’re presented with the latest news from around the world. Some serious, some not so. If you’re email is introducing a new lecturer (who isn’t a famous footballer), why would the reader hang around to find out where that lecturer grew up? They’d much rather hit the back button and read a story about a panda who rescued a dolphin. Your email needs to offer the reader something! 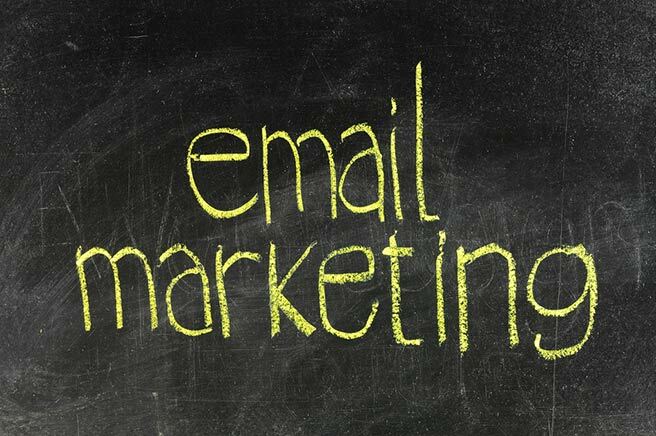 One good way of thinking about direct email campaigns is as a press release that is targeted to the end consumer, delivered directly to them. Make sure you have something that is newsworthy to tell them. Just because you are bypassing the press, doesn’t mean you can bypass your common sense and send an update about something that isn’t interesting to the end party. If your email message would be turned down by a news agency (whether that be online, print, radio, or TV) it will probably be turned down by the end user. A reader that makes it to the end of your content (or even a few paragraphs down) is a worthy lead. Don’t make it difficult for them to convert. When you go shopping, Tesco doesn’t hide the tills between aisles. You walk past them as you enter the store. You already know where they are before you’ve shopped. Make sure you place instructions on how to ‘learn more’, ‘get the offer’, or ‘apply today’ somewhere the reader will see it. This can be in the form of a web link, or just a short line or two containing contact details. You will never convert all your recipients. Even if you give away scholarships, there will be a percentage who are just not interested at that point in time. What you can do though, is optimise your content so you maximise your chances of converting readers.